I became a fan of Mike Doughty the moment I heard “Screenwriter’s Blues”. It brought some serious funk and some joyously weird lyrics that used to make me pull my car off the road when it came on the radio, lest my happiness cause a multi-vehicle accident. With “The Book of Drugs”, Mr. Doughty adds a new stage to the fan process, specifically the “Hey I love this song, but my enjoyment – or even mention – of it or any of his previous work sends the performer into paroxysms of hatred, self-loathing and despair” stage. Not that he isn’t justified. 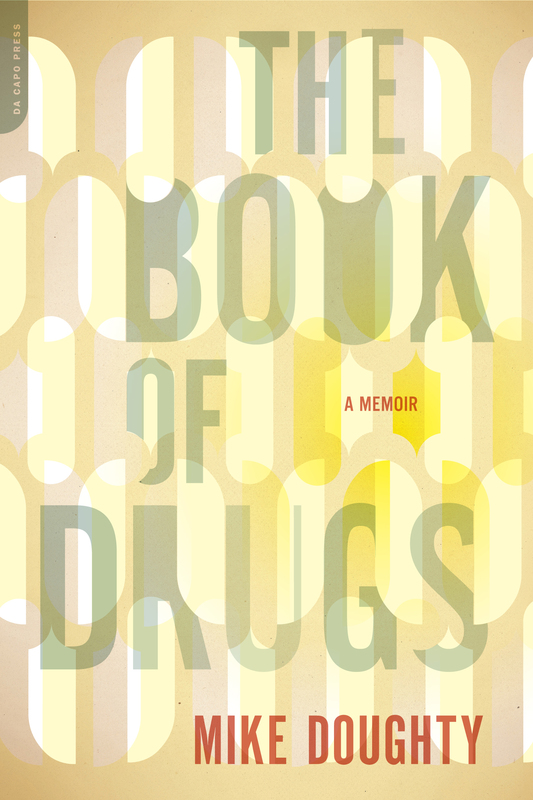 “The Book of Drugs” is Doughty’s memoir of his time before and during Soul Coughing, a band that grew out of New York City’s avant-garde, exploded in the way that only alt and indie bands can, and then imploded around 2000. And it reads like a nightmare. Literally. The skewed logic, the irrational activities, the bizarre tedium that, in the Dali-esque landscape of our dreams make some version of sense, but that upon wakeful, rational analysis elicits a response along the lines of “what the hell was that all about?” It is harrowing to read. I cannot imagine what it must have been like to live through. Doughty admits early on that he is, at best, an unreliable narrator. That both his particular form of mania and his efforts at self-medication not only drove him to seek out dysfunction, but also encouraged him to expect and suspect deceit, mendacity and cruelty at every turn. Thus, he explains, his narrative of being deceived, lied to, and cruelly treated may just be in his head. On the other hand, he was probably surrounded by assholes. Or both. Or neither. You make the call. And that honesty is central to what makes “The Book of Drugs” a fascinating description of what it’s like to be creative: the harrowing rollercoaster ride of not knowing where the ideas are coming from or if they’ll ever come again coupled with the race to keep up with them when they are avalanching; of functioning with other people who are experiencing some version of the same madness you’re going through; of doubt in art and self and others. It’s a portrait of how creative people produced something brilliant – even as it made at least one of them into a raving anti-social superneurotic junkie. And that’s why we’re writing about it here. Look, everyone works with people they don’t like. But the creative world is different because the work demands a profound investment of one’s personal worth for it to be any good. And that supercharges the pain. Creatives develop a thicker skin about this than other people but that’s not saying much. And while I don’t mean to imply that everyone in every agency is as gifted as Doughty, nor that every creative department is as dysfunctional as Soul Coughing, I do believe that if you’ve ever been mystified by the creative impulse that lies at the center of what we do, then there’s a lot here that will be illuminating. And for the rest of you, there’s always the music. And ain’t that a crazy paradox. The Book of Drugs by Mike Doughty was published by DaCapo on 01/10/12 – order it from Amazon here or from Barnes & Noble here – or pick it up at your local bookseller ( find one here).